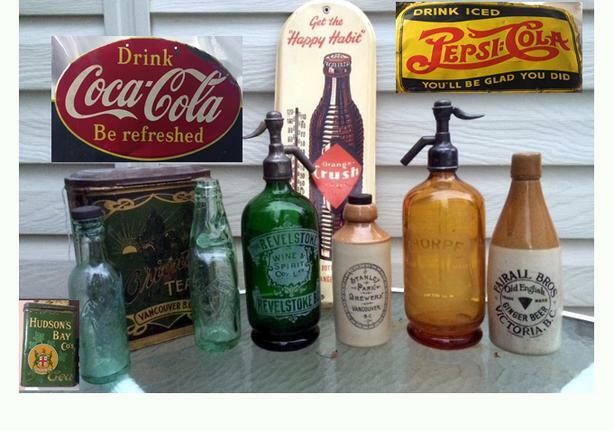 Local collector seeking the following: old vintage advertising signs, tins, beer trays, liquor jugs, bottles (BC Ginger Beer, soda pop, seltzer siphon syphons, beer, crocks), etc. Top dollar paid for better pieces. Buying small and large collections. Will consider trade also.